Well, after the high of the week prior, this most recent week was somewhere in the dark valley. Okay, maybe it isn’t quite as grim as all that. I started plotting the next novel. I only have a general idea of how I want it to go… So just throwing ideas out there to see what I like. I think I’ve narrowed down the point in time when it will take place, and I’m pounding out the details some of the main characters. It still doesn’t sound much like a story yet. It’s missing *something*. So yeah, there’s that. I’m working, it’s just a bit of a sludge right now. I wish I could remember where I saw this. A writing blog, I think. I’m not sure. But it doesn’t hurt to spread the news. If you’re suffering from writer’s block, this could be a great tool to get you moving again. Oblique Strategies was originally created by Brian Eno and Peter Schmidt in 1975. In their version, it was a stack of index cards that you would pick from. You’d get a random phrase and use that to break through the block. More info is on the above wikipedia page. What do you use when you get stuck? Have a favorite method? Let me know in the comments. Another year is here and it’s time to determine my goals for the coming year. I don’t do resolutions. I set goals, then meet them. It’s worked out well over the last 3 years, so I’ll continue the trend this year. The final numbers are in. I wrote ~115K words last year, completing one novel and started another. That was 26% over my goal. On the editing front, I edited Dwarf Lords once, and started through a second time. I edited on 67 days out of the year. So, on to the new goals. The word count I’m shooting for is 130K. Given my previous years, that’s doable. The toughest part will be deciding which novel to work on after the current WIP is finished. I think I’m roughly half way through it. I’m definitely ready to get back to my fantasy setting. That leaves me with rounding out the 2nd/3rd Dwarf Lords or working on a new character in that world. I’ll see what I’m feeling as the time draws closer. For my editing goals, I’m going to shoot for editing 180 days out of the year. I think that’s doable, and that will really allot me the time needed to give that book the polish it needs. 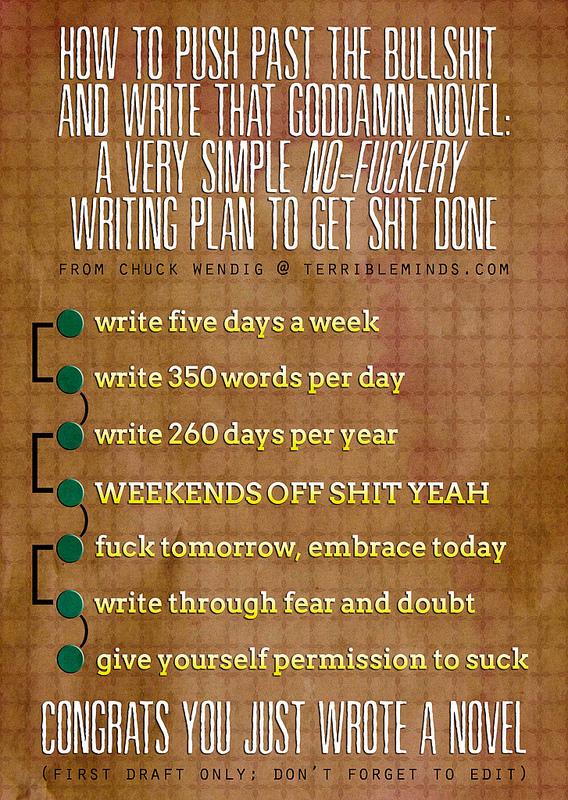 That should also give me time to have a second novel edited as well. Could it be that I have two novels ready to go this year? You may notice on the side here that I’m reading Booklife by Jeff Vandermeer. This was an excellent gift from my wife that is also well timed. I’m looking forward to the information I glean from that book and will share any tidbits I find there. Jeff also created the website Booklifenow.com which is a more up to date version of the info provided in Booklife. So between the two, and my own determination, I may just have a book on the shelves soon. Not to imply that I’ve done nothing lately… I still wrote. I’m about 5% over my goal for the year. But you know, I haven’t been super excited to get to it either. Writing sessions have been relatively short, followed by a video game. This weekend I received some positive feedback from a friend on my Dwarf Lords novel. I mean, sure, I love it and it’s awesome. I know this. But I just wasn’t sure how well received it would be by people who aren’t me. So, back to the edits that I need to hammer out (haha, little dwarf humor there for you) and I’ll put the polish on this novel that it needs. So, I finished outlining last week and jump right in to the next novel. So, I finished outlining last week and them jumped right into the next novel. I’m also in the last 10% of my goal for the year. Way ahead of where I’m scheduled to be.